AdvantaClean of Twin Cities is known for its customized and long lasting crawl space encapsulation solutions. Crawl space cleaning and maintenance is our specialty. Being in the business for more than 20 years has given us the expertise and confidence to develop and implement innovative crawl space cleaning solutions. Our technicians are industry-trained and are familiar with the most modern equipment used in crawl space waterproofing. With their thing for customer satisfaction, they give you the most appropriate solutions that last for years. Be it a simple task like mold removal or something intricate like seepage control and waterproofing, AdvantaClean technicians have the ability to deliver quality work each time. The crawl space of every building is unique and presents its own set of challenges. 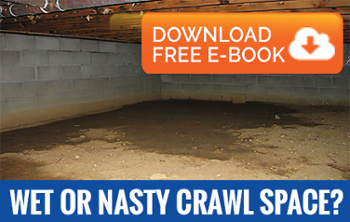 The one thing common among all the crawl spaces is their susceptibility to water damage. This is because crawl spaces are underground structures that are scarcely used. Seepage through the walls and foundation is the most common cause of water damage and excessive humidity. All these issues give rise to mold growth and structural damage. In the Minneapolis - St Paul area, AdvantaClean has the experience and expertise to deal with all these issues. We can suggest and implement the most innovative and long-lasting crawl space maintenance solutions for you.